While biomedical techniques in childbirth, including the use of doctors, hospitals and modern technology, have aided health outcomes in pregnant women and their babies in Africa, it's sterile, institutionalized methods are often unavailable, unaffordable or culturally inappropriate. The last is a particularly important element in health seeking behavior to the poor or those living in tribal areas. To remedy this and to help improve its maternal mortality rate, Malawi is introducing “safe motherhood committees,” including the use of 'secret mothers' who serve as liaisons between expectant women and health care professionals. This represents a change in approach unique for national administrations whose health reforms, often implemented at the expense of local cultural norms, despite good intentions often fail. Good for you, President Joyce Banda and village Chief Kwataine for you wise decision to promote cultural change while utilizing empowerment and respect, not coercion or methods based on Western cultural norms. On a similar note, changes too are at work to irradiate genital cutting in Senegal through information sessions deemed 'cultural diffusion' by Molly Melching of Tostan. 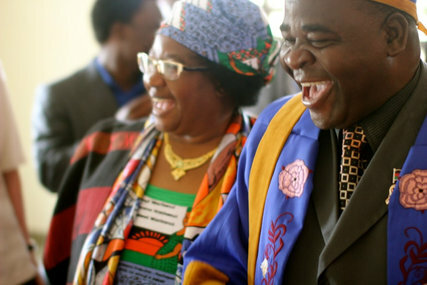 Read about both in The New York Times Malawi's Leader Makes Safe Childbirth her Mission.